Current Solo Exhibit: "Images of Tuscany", Tuscan Sun, Therapeutic Wellness Center, 431 W. Ponce De Leon Avenue, Decatur, Georgia. June 2007 - current. 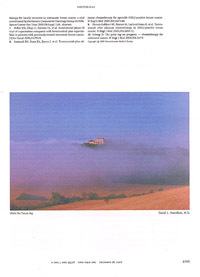 Current Exhibit: "Images of Tuscany", Le Le Arts, Gallery,Casole d'Elsa, Tuscany, Italy, July 2011- current. Previous was featured artist- Photographs always on display at: The Boswell Gallery, Decatur Georgia. March 2006- January 2009. Previous was featured artist "Images of Tuscany", photographs always on display at The Gallery at Paper Mill, Sandy Springs. January 2010 - September 2011. Previous was featured artist "Images of Tuscany", photographs always on display at Bella Italia, Italian specialty store, 1403 Highland Avenue, Atlanta. November 2005 - February 2009. Previous Exhibit: First Annual Georgia Photography Show. The Gallery at Paper Mill. Sponsored by the Art School of Sandy Springs. Sandy Springs, Georgia. January 7-30, 2010. 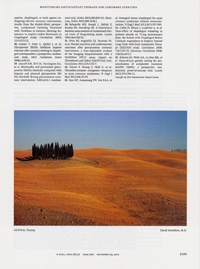 Previous Exhibit: Featured artist "New Works- Tuscany". May 23 - August 30, 2008. In association with Decatur Art Walk. The Boswell Gallery, Decatur Georgia. Previous Solo Exhibit: Il comune (Town Hall, Gallery), Casole d'Elsa, Italy, July 2007. Previous Solo Exhibit: "Images of Tuscany", Lenox Mall Exhibit, Atlanta, sponsored by The Boswell Gallery, Decatur Georgia, September - October, 2007. Previous Exhibit: Featured artist "Land and Sky". May 25 - June 30, 2007. The Boswell Gallery, Decatur Georgia. Previous Solo Exhibit: "Images of Tuscany", photographs displayed at Theatre Decatur, 430 West Trinity Place, Decatur, Georgia. November 2006- January 2007. Previous Solo Exhibit: "Images of Tuscany", photographs on display at Wine Corner, A wine store and tasting room. 3070 Windward Plaza, Alpharetta, Georgia. October 2006- October 2007. Previous Exhibit: Featured artist "Food", Photographs displayed at Food 101, restaurant and gallery, 1397 Highlands Avenue, Atlanta. February 2007 - October 2007. Previous Exhibit: Two-man show "Treasures", In association with Atlanta Celebrates Photography, The Boswell Gallery, October 6 - November 9, 2006, Decatur Georgia. Previous Exhibit: The Atlanta Photographic Society Salon, In association with Atlanta Celebrates Photography, Atlanta Unitarian Church, Cliff Valley Way. September 29 - October 31, 2006, Atlanta Georgia. Previous Exhibit: Aqua Vino- Georgia Aquarium. Wine tasting and juried art show. October 21- 28, 2006. The Georgia Aquarium, Atlanta, Georgia. Previous Exhibit: Featured Artist "Nature's Bounty", Photographs displayed at Food 101, restaurant and gallery, 1397 Highlands Avenue, Atlanta. February - October 2006. Previous photos displayed: "Images of Tuscany", The Seen Gallery, Oakhurst, Atlanta. February - September 2006. Previous Exhibit: Featured artist: "One"- An anniversary celebration. The Boswell Gallery, August 11 - September 15, 2006, Decatur Georgia. 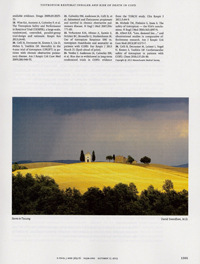 Previous Solo Exhibit: "Images of Tuscany", Il comune (Town Hall, Gallery) Casole d'Elsa, Tuscany, Italy, June 17-29, 2006. Previous Exhibit: Featured artist: "Spring Fling Art Exhibit". The Boswell Gallery, April 22- July 5, 2006, Decatur Georgia. Previous Exhibit: Featured artist: "Fiori" (flowers), Art for Justice Charity Benefit. The Boswell Gallery, March 18, 2006, Decatur Georgia. Previous Solo Exhibit: "Tuscan Landscapes", The Corner Wine and Art Gallery, 1402-6 N. Highland Avenue, Atlanta, February 11-17, 2006. 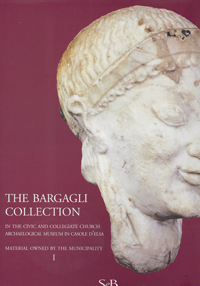 The Bargagli Collection: The Civic and Collegiate Church Archaelogical Museum, Casole d'Elsa. Baldini G, Bezzini M, and Ragazzini S eds. Stoppo G. and Swerdlow D. photography. Salvetti & Barabuffi Editori, Colle di Val d'Elsa. 2013 ISBN 978-88-97082-40-8. One of the images I took for this book (The cover photograph) was also used in pamphlets advertising the book, the town annual tourism brochure, magazine advertisements, and an archaeology journal article (Milliarium). 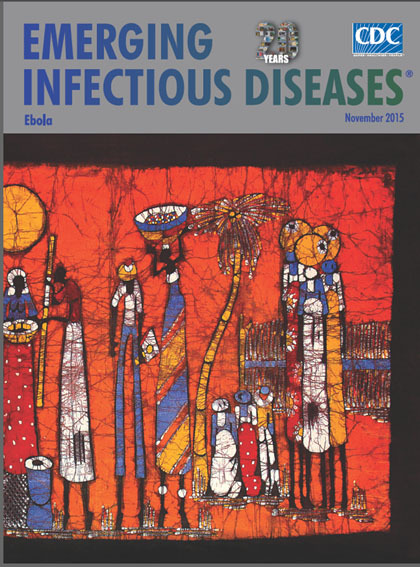 Cover Photo- Emerging Infectious Diseases Journal, Volume 21 (11), November 2015. New England Journal of Medicine, October 17, 2013. "Storm in Tuscany" page 1501. New England Journal of Medicine, November 29, 2012. "Col D'Orcia, Tuscany". Page 2109. Wine Spectator Magazine, October 31, 2012. 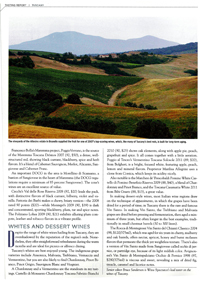 "Vineyards of the Altesino Estate", Page 70, Article "Exploring Italy". 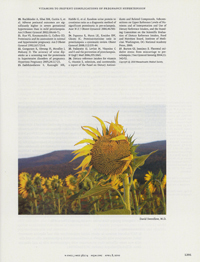 New England Journal of Medicine, "Girasole III", April 8, 2010. 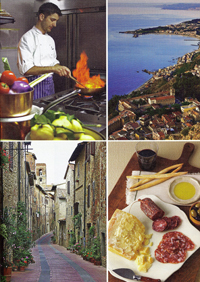 Wine Spectator Magazine, "Via San Niccolo, Casole d'Elsa, Tuscany", October 31, 2009, Page 39, Article "Savoring Italy". 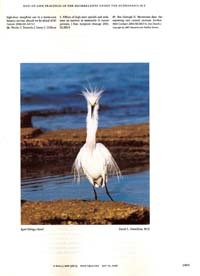 New England Journal of Medicine, "Egret, Sarasota, Florida", May 10, 2007. New England Journal of Medicine, "Nebbia", December 28, 2006. New England Journal of Medicine, "Tuscany", July 27, 2006. 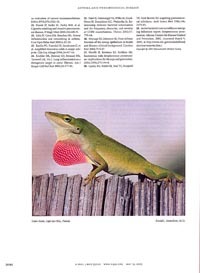 New England Journal of Medicine, "Green Anole, Cape San Blas, Florida", May 19, 2005. Petersen's Photographic Magazine, "Onions- Atlanta Farmers' Market", Express Yourself Gallery, November 2005. Petersen's Photographic Magazine, "Pineapple", Express Yourself Critique, November, 2005. 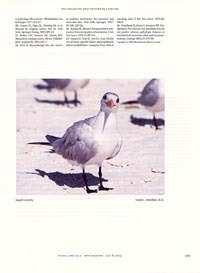 New England Journal of Medicine, "Seagull Curiosity", July 8, 2004. Va Pensiero. 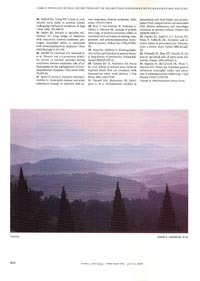 Il Pensiero Scientifico Editore, Article- Come Usare le Riviste di Medicina, Italian Ministry of Health Newsletter. Photograph (Nebbia) and biographical write-up. Second place, Color Prints, "Nebbia" The Atlanta Photographic Society: Salon, In association with Atlanta Celebrates Photography, Atlanta Unitarian Church, Cliff Valley Way. September 29 - October 31, 2006, Atlanta Georgia. Second place- Animals Competition, Slides category, "Lion, reflecting" The Atlanta Photographic Society: Monthly competition, October 2006, Atlanta Georgia. First place- Animals competition, Color Prints category, "A walk on the beach", The Atlanta Photographic Society: Monthly competition, October 2006, Atlanta Georgia. Honorable Mention- Open competition, digital category, "All in a Row", The Atlanta Photographic Society: Monthly competition, January, 2007, Atlanta Georgia.